Window World of Louisville offers financing options through the Window World Credit Card Network for your home improvement needs. Click here to securely connect to our online credit approval process for a home improvement loan. 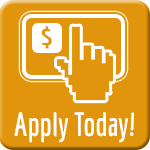 Enter your application information and receive a credit decision in no time. This program allows you to get all your windows today without paying now. It can help you conserve cash without increasing your other credit card balances. If you’re approved, contact us and we’ll use your approved credit limit to help expedite the measurement, ordering, and installation of your new windows. We would appreciate the opportunity to improve your home!